This collection is sure to please avid LeCarre fans and new listeners alike. Includes: Night Manager, Tailor of Panama, and Our Game. Tailor of Panama: Le Carre's Panama is a Casablanca without heroes, a hotbed of drugs, laundered money and corruption. It is also the country which on December 31, 1999, will gain full control of the Panama Canal. Seldom has the weight of politics descended so heavily on such a tiny and unprepared nation. And seldom has the hidden eye of the British Intelligence selected such an unlikely champion as Harry Pendel - a charmer, a dreamer, an evader, a fabulist, and presiding genius to the house of Pendel & Braithwaite Co. Limitada, Tailors to Royalty, formerly of London and presently of Panama City. Yet there is a logic to the spy's choice, for everybody who is anybody in Cental America passes through Pendel's doors. He dresses politicos and crooks and conmen. His fitting room hears more confidences than the priest's confessional. And when Harry Pendel doesn't hear things as such - well, he hears them anyway, by other means. 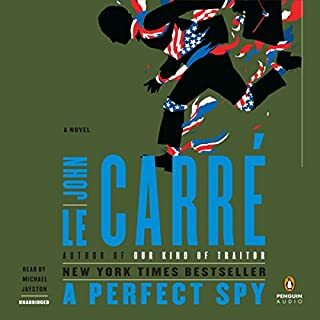 In a thrilling, hilarious audiobook, le Carré once again effortlessly expands the borders of the spy story to bring us a magnificent entertainment straight out of the pages of tomorrow's history. Solid and entertaining stories with great narration by yhe author. One has tonpay attention as flashbacks and bits of infortmation that change the plot can be missed. 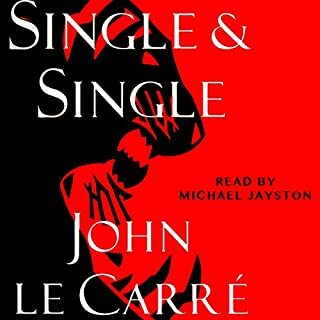 Would you listen to John le Carré Value Collection again? Why? Nothing better than hearing the author read his own works especially in THIS CASE!!!!! What was one of the most memorable moments of John le Carré Value Collection? Too many memorable moments to single out one or two. What does John le Carré bring to the story that you wouldn’t experience if you just read the book? Generally I think it is a terrible mistake to let writers narrate their own books. Not so here. While I've gotten used to listening to Carre' through the voice of the late David Case (aka Fredrick Davidson) Carre's disenchantment with the powers of the Western World suits the cynical outlook of his characters. Carre' is as good a vocal actor as he is a writer of the cerebral thriller. Unlike the Smiley series, The Tailor of Panama is almost a comedy. LeCarre is who he is. love him or yawn stretch ' who'? Well I do love most of his yarns and have done for decades. So I love Tolkien talk elfish. The stories are marvelous but as always we long for a happy ending. The author’s narration gives much to knowing these stories. 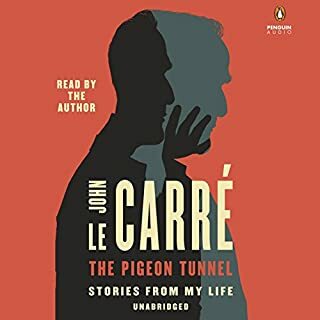 Le Carre on Audible is very worthwhile. All three books are wonderful and wonderfully preformed. I always love hearing the author reading his own works. These three live up to my hopes. Written and narrated by a man at the top of both games. Fantastic! John le Carrie demonstrates again and again that he is a man at the top of his game, whether that game is writing or narrating. With this offering you are getting three marvelous novels, each written in a distinctly different style. 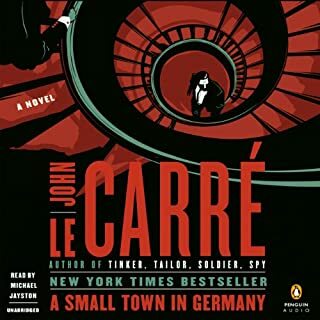 Sometimes authors narrate their work to great effect, at other times you want to say “Please leave the narration to the professionals.” In these three novels, le Carre gives the impression that he heard the voices of his characters speak in exactly the manner he narrates them, and therefore it was easy to give them each their exact sound. He carries the characters and the accents off beautifully. I cannot imagine another narrator for these audiobooks. As for his writing, I doubt you need me to tell you le Carre crafts the best spy thriller around. The author lays down set and setting in such a manner that you can feel the breezes of Panama, and see the sun glinting off the cutting shears in the tailor’s shop. My advice is pick up this bargain bundle. You won’t be disappointed. What did you like best about John le Carré Value Collection? What did you like least? Mr. le Carre tends to drop his voice to a whisper and I could not hear him, no matter how high the volume in my iphone. No. His story line is too complicated and if you can hear it or miss a detail, you won't know what's happening. What would have made John le Carré Value Collection better? For it to have been a better sampling of the author's books. These are quite possibly the worst three books in the author's repertoire, and are remarkably similar at that. Would you ever listen to anything by John le Carré again? I would be hard pressed to, but perhaps I'd give one of his better known novels a shot. I'm not a fan of author's reading their own books, but le Carre does a generally good job here. Unfortunately these are also all abridged versions of the originals, so it can be hard to keep up with the action when pages at a time are being excised. If you could play editor, what scene or scenes would you have cut from John le Carré Value Collection? Hard to say. 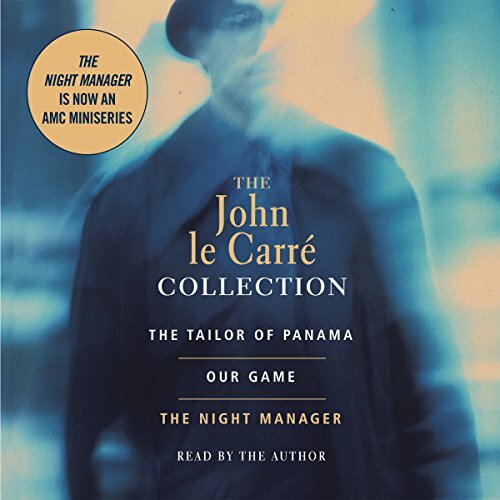 All of The Tailor of Panama (boring book), nearly all of Our Game (nothing much happens, even in the abridged version), but perhaps would have added something to The Night Manager as it jumps around too much. A disappointment. Don't believe the hype. What did you like most about John le Carré Value Collection? I could hardly believe how good the author is at narrating this story. Not only does he get all the accents right, he also delivers each line perfectly and as good, if not better than a trained actor. Oftentimes when listening to authors reading their own books, I am unpleasantly surprised, not in this case. I hope Mr. le Carré will record more of his books. First abridged book I've had. Not only does he write superbly but his talents as a narrator are not to be sneezed at. Thoroughly enjoyed listening to these three stories. If you’re a fan of Le Carré you’re in for a treat. Plenty for spy/thriller fans too. Lots of suspense with a little unreliable witness stuff throw in. The Game and The Night Manager are excellent stories. I didn’t get into The Panama Tailor. I’ll try again later. The Night Manager is sufficiently different from the BBC drama to not feel as if you’ve heard the story before (I saw the programme before listening to the audiobook). Really engrossing and extremely well written. Thank you. Well another best read version of the texts Thank you for two nights of enjoyable and informative entertainment. All 3 books are worth reading but Our Game is so exciting. You actually feel like you are in Ingushetia, living the fight. When Tim finally catches up with Larry. The narration is superb as with the Smiley books. I would not know where to start. 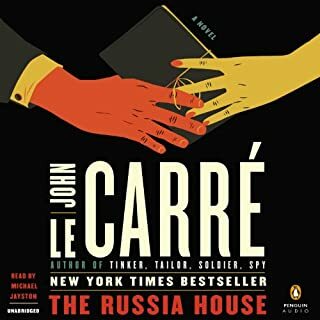 Would you consider the audio edition of John Le Carre Value Collection to be better than the print version? As good as if not better being narrated by the author. I have read the books and love the sound of his voice and can now put it to the books. 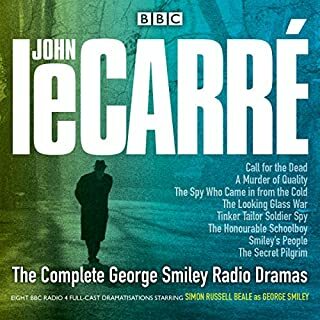 Having downloaded 2 books by the author and then the radio plays I feel it was a privilege to then find this series read by le carre.